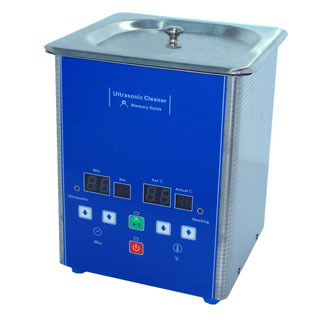 pcb circuit board cleaning machines and special equipment, ultrasonic cleaning machine member of the family. Mainly used in semiconductors, transistors, resistors, capacitors, PCB board, IC chips, connectors, fittings, adapters, silicon, transistors, diodes, electronic circuit boards, computer motherboards, piezoelectric ceramic substrate, tubes, electric vacuum devices and other electronic device production process between cleaning. (A) an ultrasonic cleaning (2) steam bath wash (3) freeze-drying (4) distillation recovery. Is fully enclosed design to ensure that the environmental requirements of the workshop. The principle of the use of ultrasound, to convert electrical energy into mechanical vibration to generate high pressure bubbles of the breaking force of bubble cleaning agent particle impact circuit board. Cleaning the circuit board to the attention of the correct selection of the power of ultrasonic wave in the ultrasonic cleaning process do not transfer too large power, the power and the container volume, the amount of cleaning the circuit board is generally proportional to the selection according to the ultrasonic much the amount of cleaning circuit boards, are generally only suitable for large quantities of circuit boards, circuit board cleaning solvent used can be generally used in the cleaning circuit boards careful not to clutter stacked orderly establish the groove body clutter stacking affect the cleaning effect. Use solvent is an organic solvent, board special cleaning agent or environmental electronic ultrasonic cleaning agents, not with absolute ethanol (ethanol), otherwise the circuit board will be white, commonly known as vitiligo.